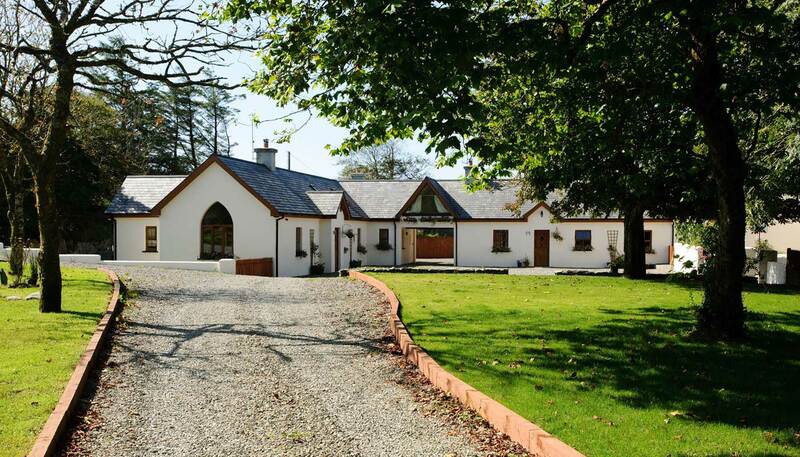 Barbaras Cottages are situated in Keelahangil in a beautiful location just off the main Castletownsend to Skibbereen Road. When exiting the Airport at the last roundabout take the 3rd exit off the roundabout. Continue on that road for about 3 or 4 miles until you come to an exit on your right hand side. There is a pub also on your right at this exit. Take a right and continue through to Ballinhassig village and just after the village there is a left hand turn which takes you on to the main Cork to Skibbereen road. Take this left hand turn and continue on until you get to skibbereen which depending on traffic will take about an hour and 15 minutes. The towns that you will pass through are Innishshannon, Bandon, Clonakilty, Rosscarbery, Leap and then Skibbereen. Always follow the signs for West Cork when coming from Cork City. As you come in to the town there is a one way system in place so go through the town and follow the signs for Castletownsend and Baltimore. You will come to a roundabout with a Lidl supermarket to the right of the roundabout. At this roundabout take the first exit and you are now on the main Skibbereen to Castletownsend road. Continue on this road for about 3.5 miles and you should come across an old creamery on your left hand side that has C&C Joinery written above the door with timber fencing by the road. Once you see this building continue straight on for about a half a mile until you come to a small crossroads which has a Barbara's Cottages sign on the left hand side. Take this left turn and continue on until you come to another small crossroads with a Barbara's Cottages sign on your right hand side. Take this right turn and continue to the top of the road and the driveway to the Cottages is more or less straight in front of you with timber fencing along the driveway. If by any chance you miss the crossroads off the main Castletownsend road you will pass a church on your right hand side with a school opposite it on the left hand side. Turn around and about a half mile back down the way you came take a right turn at the crossroads and follow instructions given above. Directions are also available on google maps if you enter the address Keelahangil, Castletownsend, Co.Cork.